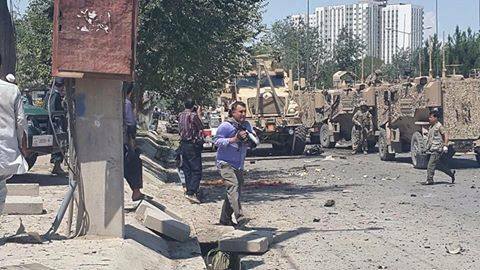 Blast Targets NATO Convoy near Kabul Airport, US Embassy (Photos) 0 out of 5 based on 0 ratings. 0 user reviews. A suicide bomber has attacked a NATO convoy near Kabul International Airport, close to the US Embassy and Supreme Court. 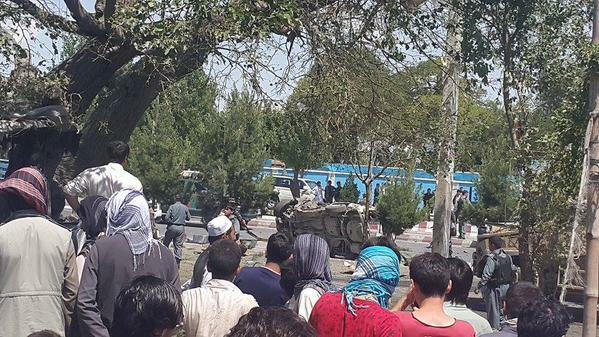 “It was a suicide car bomber. There are casualties but it is too early to know the extent of the damage,”Kabul deputy police chief Sayed Gulagha told AP. 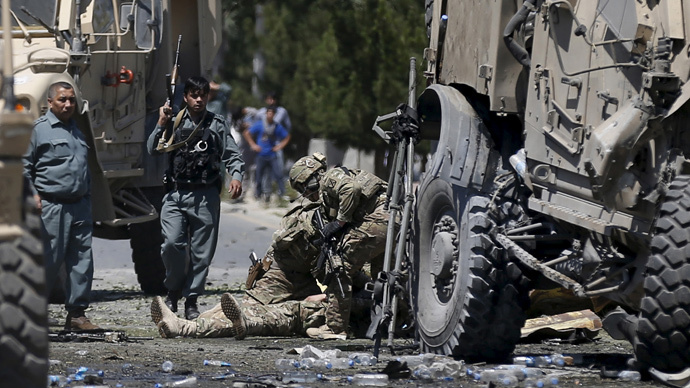 The information that NATO troops were attacked was also confirmed by a spokesman for the NATO mission in Afghanistan, US Army Colonel Brian Tribus. The blast took place in Wazir Akbar Khan (Afghan capital), where the US and Canadian embassies and other diplomatic compounds are located. 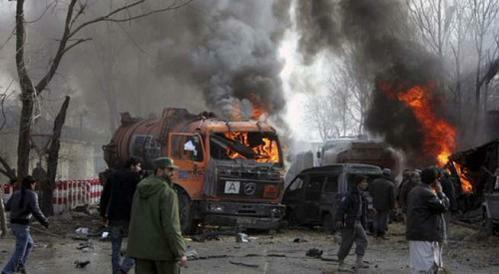 17 people, including three women and three children were injured in the explosion.